Today’s blog is a follow up on last weeks. I am going to touch on the final aspects of what you, as the Renovation Consumer should be looking for when hiring any kind of a contractor for your home’s renovation needs. Just a recap, last week we talked about the stability of a company and how that company should be able to provide you the consumer, with a bank letter and supplier letter. This week I want to touch on business licenses, Insurance and references. Business Licenses – Why it is so important – Make sure that any contractor has been operating under the same name for a minimum of 5 years. Many contractors open and close their doors multiple times to avoid past customer complaints. Naturally, some businesses will be legitimately new – if so, get a 10 year work history of the owner and ASK questions! 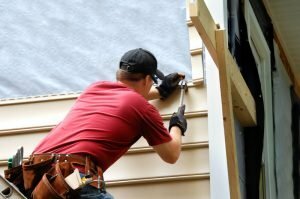 Insurance – This is important because you need to know if your contractor carries worker’s compensation and general liability insurance for both commercial and residential projects. A sizable contractor will carry no less than $500,000 and usually around $1,000,000 of coverage. If your contractor’s insurance policy can’t cover potential damages, then the contractor would be personally liable. If he cannot cover the damages himself, you will have no legal recourse and will end up paying for any possible damages or injuries yourself. Many contractors are not financially stable.. and don’t carry proper insurance coverage to protect you against losses. Additionally, contractors who fail to provide workers compensation benefits risk severe governmental penalties and potentially company ending lawsuits should an employee become injured. References – Customer references are important because all reputable contractors carry pre-printed lists of references, that includes customers from 1 to 5 years ago, as well as customers from the previous six months. This list should contain at least 100 references. It’s to easy for a contractor to just hand you three references. You as a consumer should be able to pick and choose who you want to call and talk to. My wish is that after reading last week and this week’s blog that you would feel a little more empowered when hiring a contractor for your next home improvement project. If you have any exterior remodeling needs don’t hesitate to contact Kent Mohler Exteriors for your free estimate. We travel all around the Kansas City, MO area.